Hailed as “a masterful storyteller” by the Associated Press, Adam Makos is the author of the New York Times bestseller A Higher Call and the critically acclaimed Devotion. 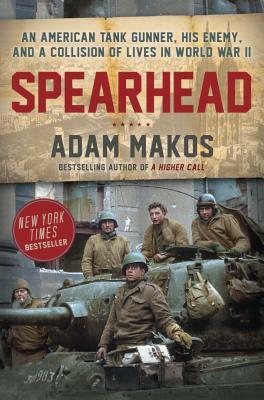 Inspired by his grandfathers’ service, Makos chronicles the stories of American veterans in his trademark fusion of intense human drama and fast-paced military action, securing his place “in the top ranks of military writers,” according to the Los Angeles Times. In the course of his research, Makos has flown a World War II bomber, accompanied a Special Forces raid in Iraq, and journeyed into North Korea in search of an MIA American airman. He lives in Denver.